Sorry about that title – it’s probably been used on 50% of blog posts about Cookie A.’s Monkey sock pattern [with the other 50% being “Monkey See, Monkey Do”, I’m guessing : )], but I couldn’t resist! : ) I’ve just finished and photographed my first pair of Monkeys, a wonderful and very popular sock pattern by probably the most well known indie sock designer, Cookie A.
Monkeys are knitted from the cuff down, and have a simple (but effective!) lace pattern that’s easy to memorize but looks complicated (and pretty!). I’m not a prolific sock knitter, but occasionally the stars align (i.e. I don’t have any bigger project on my needles + there’s some sock yarn that’s calling my name + I’ve knit too many shawls lately) and I knit a pair. 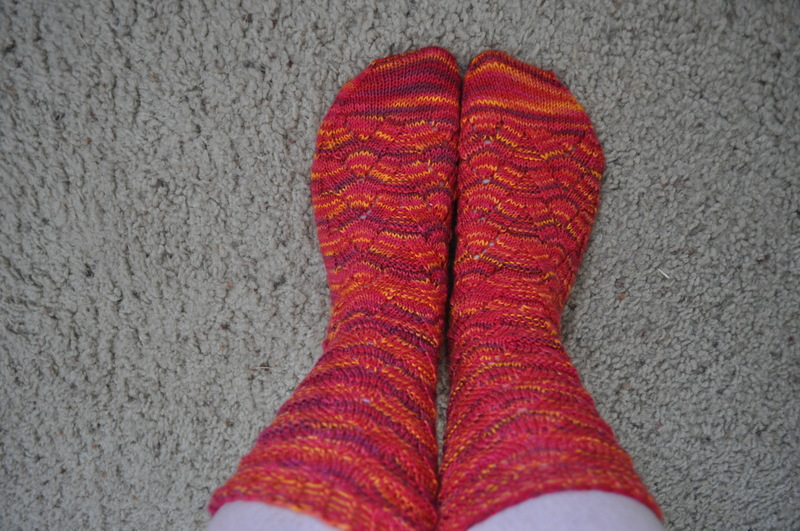 I’ve been wanting to try out Monkey for a while, so I decided to go for it with some Lorna’s Laces sock in “Flames” – a beautiful colorway that was beckoning to me because it looks so fallish and changing-leafy and warm. The yarn is gorgeous and soft, and I had plenty of yardage with two skeins – I’ve still got quite a bit of yarn left over, maybe for some little ankle socks or some sort of fall accessory. 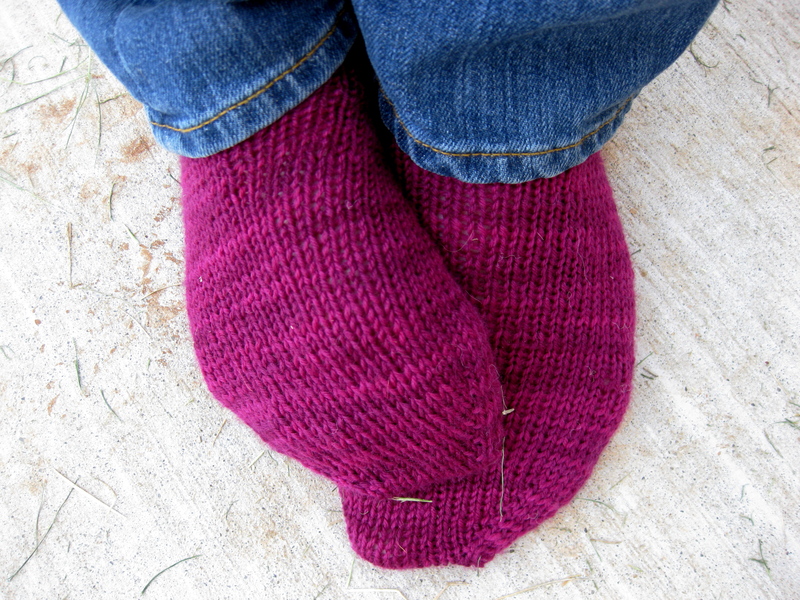 I used size 0 US needles, because I’m a really loose knitter and can never knit socks that actually require a gauge unless I use zeros (or switch back to American style knitting, which I refuse to do!). 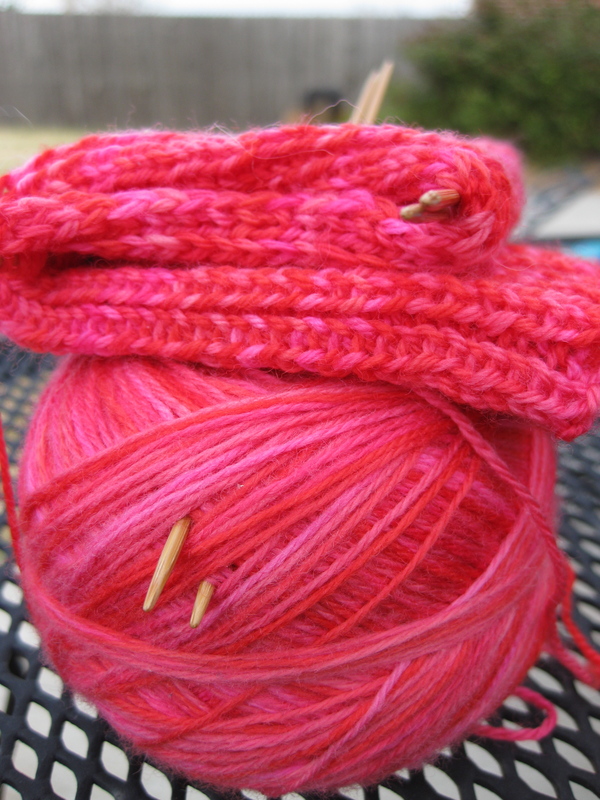 I’m not sure that this stitch pattern was the perfect one for this yarn – maybe I would have preferred something more like Leyburn to break up the colors a little bit? Well, even though there might have been a better pattern choice out there for this colorway, I’m still really happy with my Monkeys! It was a very fun pattern, easy to carry along and pick up because the lace repeat is pretty short, and it’s easy to see where you left off in the pattern. 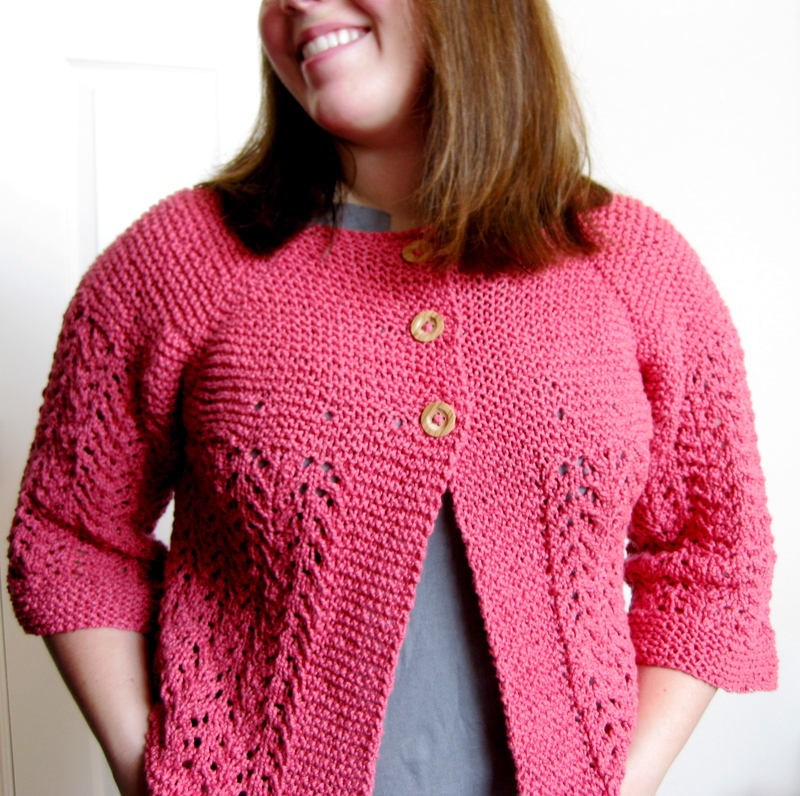 And it’s free from Knitty – awesome! Is it just me, or is it really hard to take pictures of socks? Wait, am I saying that about every type of garment? Hmm . 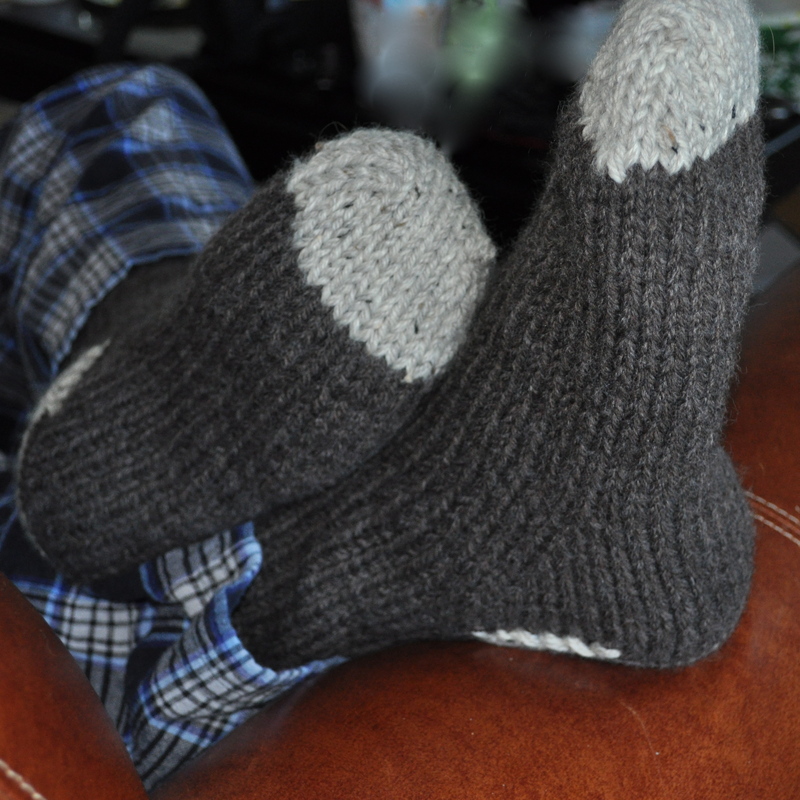 . .
Here’s a quick and easy pattern for some very warm house-socks for your favorite guy (I say guy because they are sized for a man’s foot – US size 10 1/2 – 12). 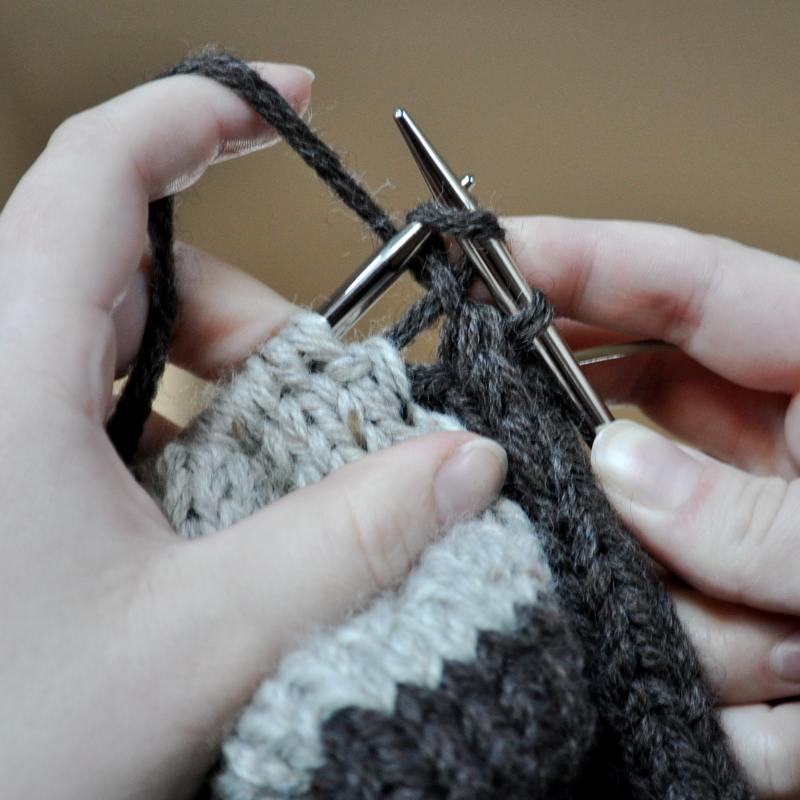 They only take a few hours to knit, so are perfect for a last minute gift! 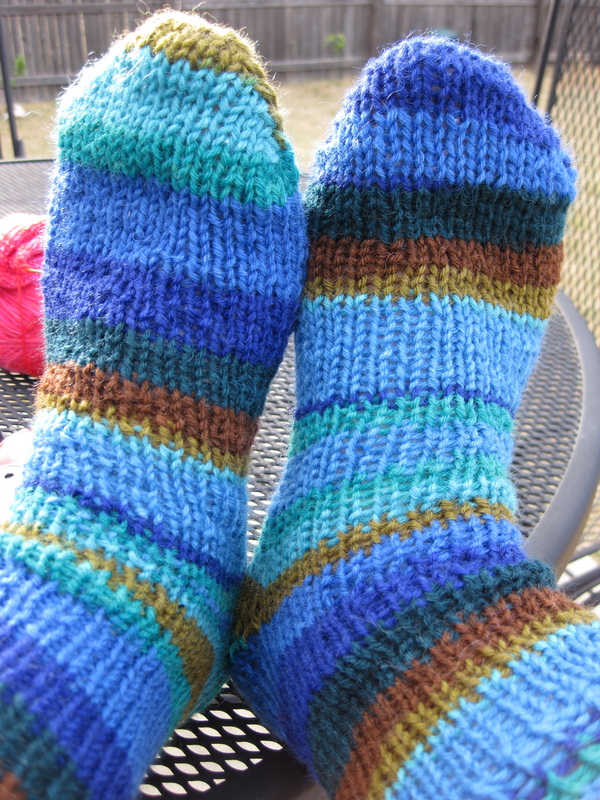 I used Encore worsted (doubled) to ensure that they could take some abuse (or at least washing). They’re worked from the toe up and are a quick way to try out Judy’s magic cast on (my favorite for toe-up socks) and a toe up heel flap. As far as the pattern goes – it hasn’t been tech edited and has only been knitted by me, so please let me know if you find any mistakes! Ah . 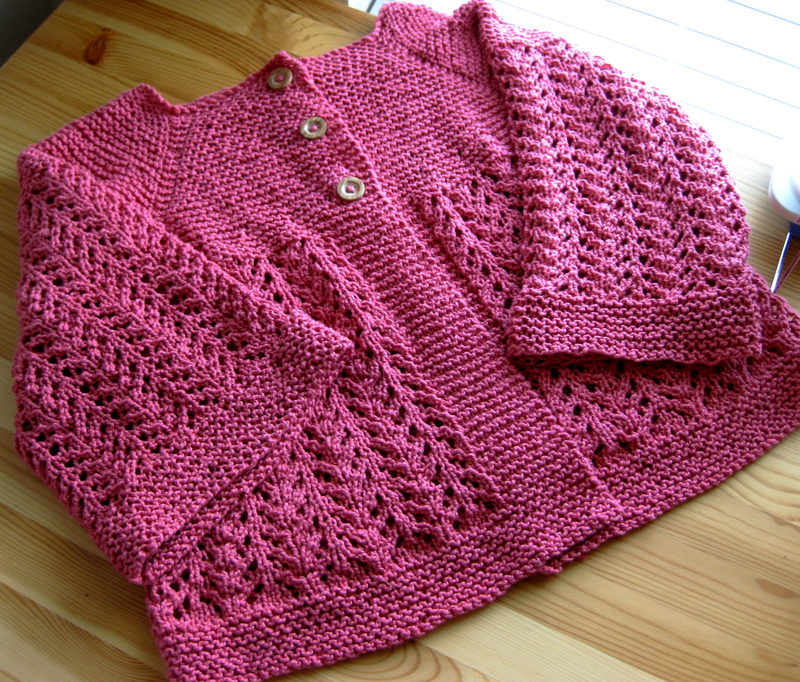 . . my Summer February Lady Sweater. We’ve had some good times and we’ve had some bad times – and now you’re going to live with my mom so that I can focus on the good times only and stop glaring at you out of the corner of my eye. Good moment: So excited about yarn I just bought. Must get out the needles and cast on immediately! Bad moment: Arrrgh! I don’t have the correct gauge! Good moment: Oooooh, my gauge is so wrong that I can knit the XS size and it will come out Linden size (which is not usually XS size). Okay, change that previous bad moment to a neutral moment. Bad moment: Hmm . . . 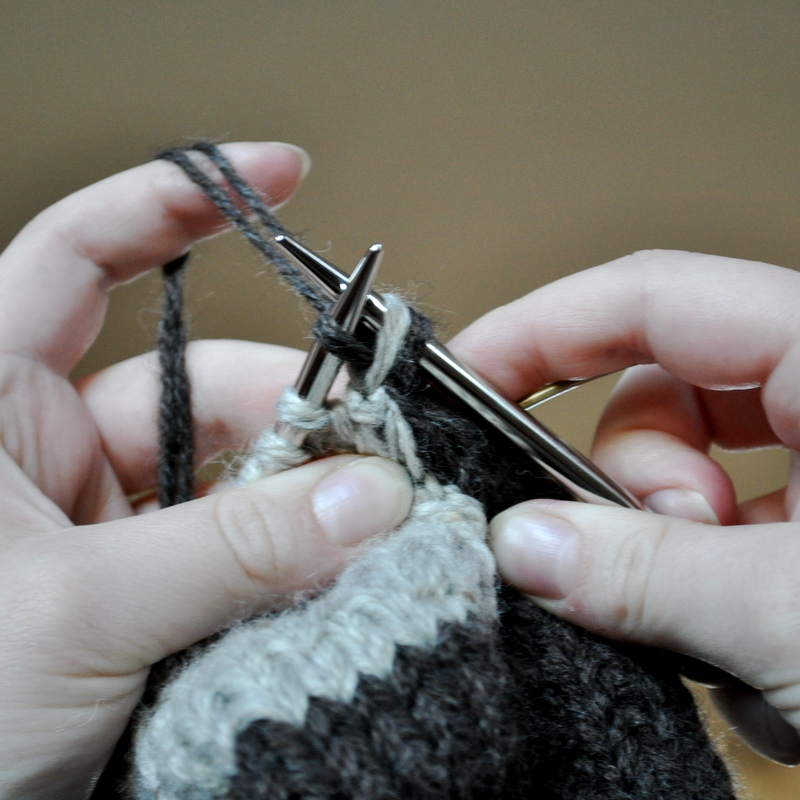 I think I might have been slightly confused by the placement of the stitch markers for the yoke. 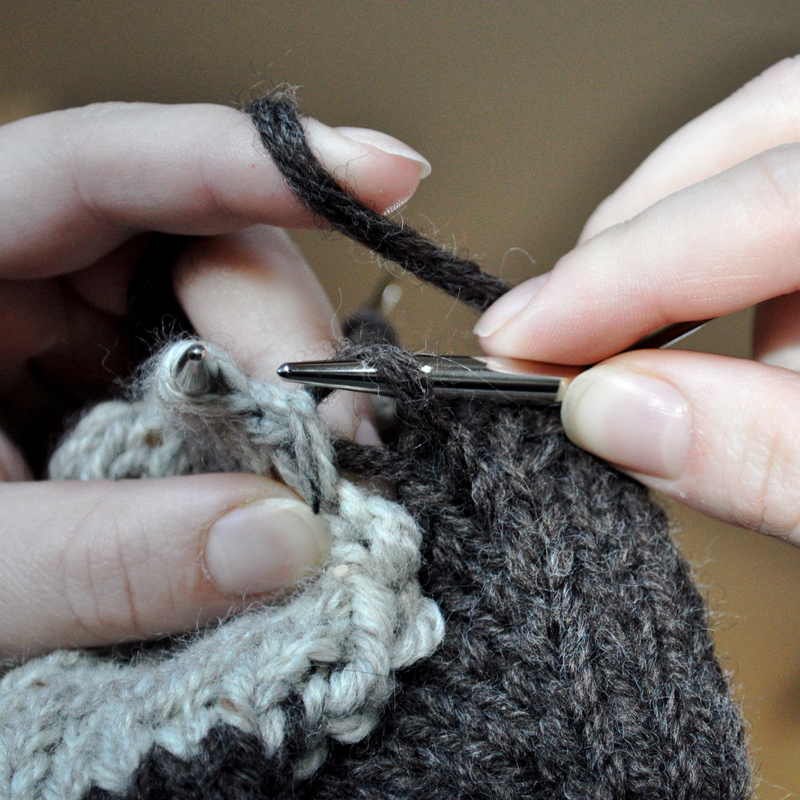 Well, I’m about to finish the yoke – surely I would have noticed if there was something way wrong earlier. Good moment: I’m going to change the yoke so that there is no chance of me messing this up again (see below for what I did). Good moment: Finished with the body and one sleeve! I’m going to try it on! Bad moment: Bah! I don’t like it on me! Well, hopefully mom will like it. Good moment: Mom likes it! Yay! Okay, project can go down in history as a success. Continue in pattern as written! 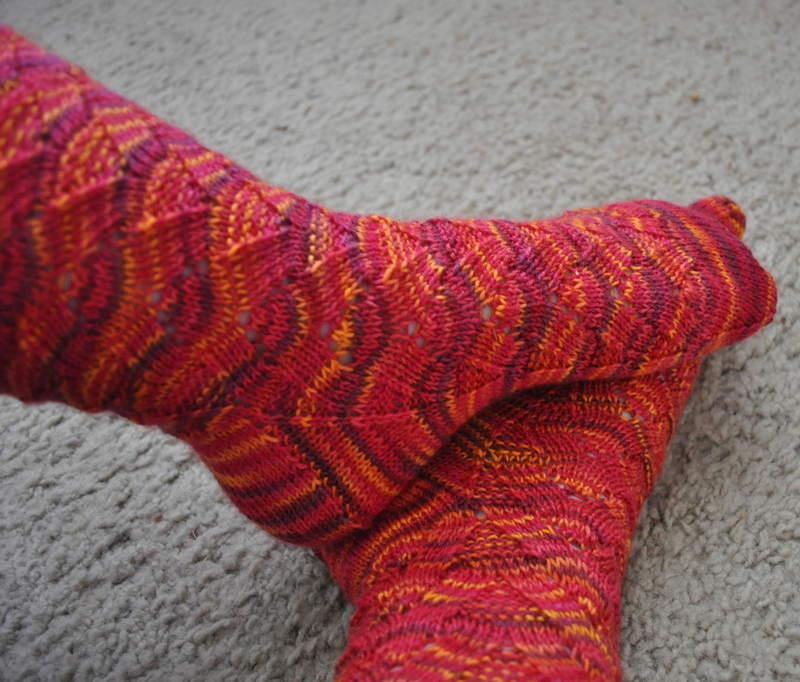 Oh, and I also made some basic socks out of what was left of my Knit Picks Stroll Kettle Dyed! I recently ordered my first Knit Picks yarn, and I have to say that I was very happy with what I received. I ordered some City Tweed HW for an as yet un-revealed sweater for Sasha and I decided to add some Stroll (formerly Essential) Kettle Dyed Sock to the tab. 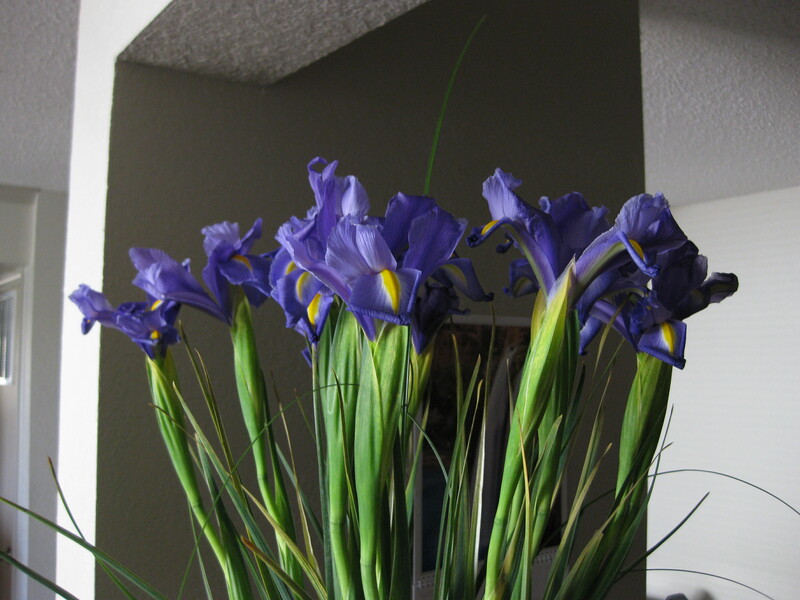 I went with the color Bordeaux, a beautiful red-purple. I couldn’t really decide what I wanted to do with it (I tend to be pretty picky about my sock patterns) until I saw these gorgeous socks made by Susan out of her Pathway Sport Sock Yarn (check out Slackford Studios, I pretty much love everything Susan does). 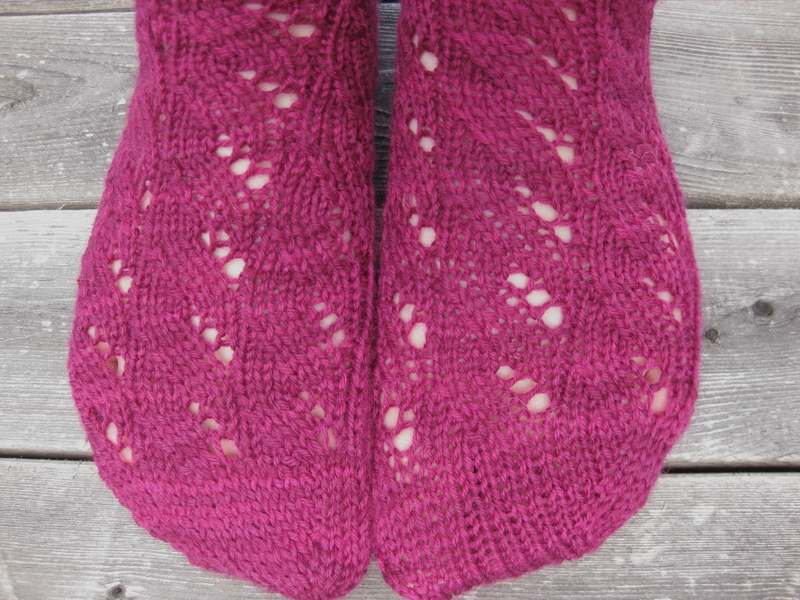 Her socks are Wendy Johnson‘s Seaweed Socks (ravelry link) – she modified the pattern to work for sport weight yarn. I actually like the socks a lot better in sport weight, so I did what a lot of people do – I totally copied! My gauge in the Stroll Sock on size 3US was 5 sts/inch, so I decided to modify the Medium Chart – I worked the pattern repeat 3 times with 2 sts in between the SSK and YO (so the chart was 22 sts and 8 rows). The sock is worked from the toe up, so I cast on 20 stitches using Judy’s Magic Cast On (which I love) and then increased to 44 stitches for the foot. The only other change was working a k1, p1 rib for the cuff instead of k2, p2. 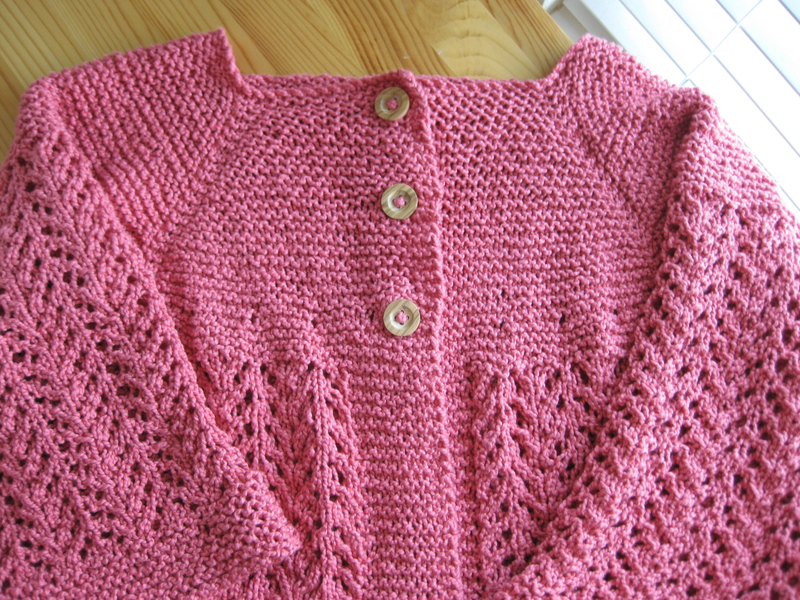 I really love the pattern – it’s sort of like a mock cable, it looks beautiful and you only have to know how to SSK and work a yarn over. 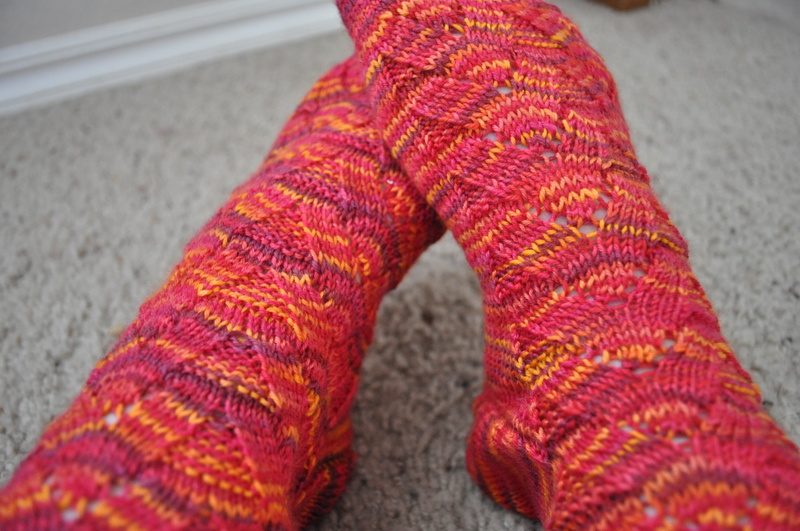 I’m also really impressed with Judy’s Magic Cast On, which I tried for the first time for these socks. Right now, I’m thinking that I prefer this toe to the short row toes I was working before – we’ll see if I come across anything else I like better! It’s not all bad news, though! I finally caved and bought needles I never thought I would need – US 00, and I have the correct row gauge (or at least as close as I will ever, ever get). 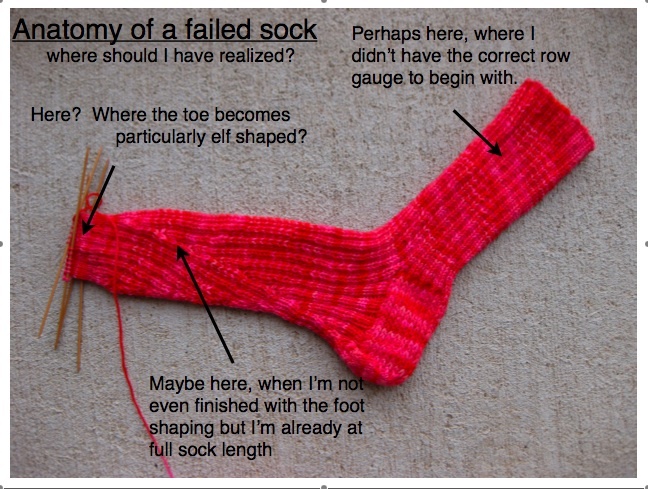 I WILL make these socks! And let me say again how much I love this yarn! 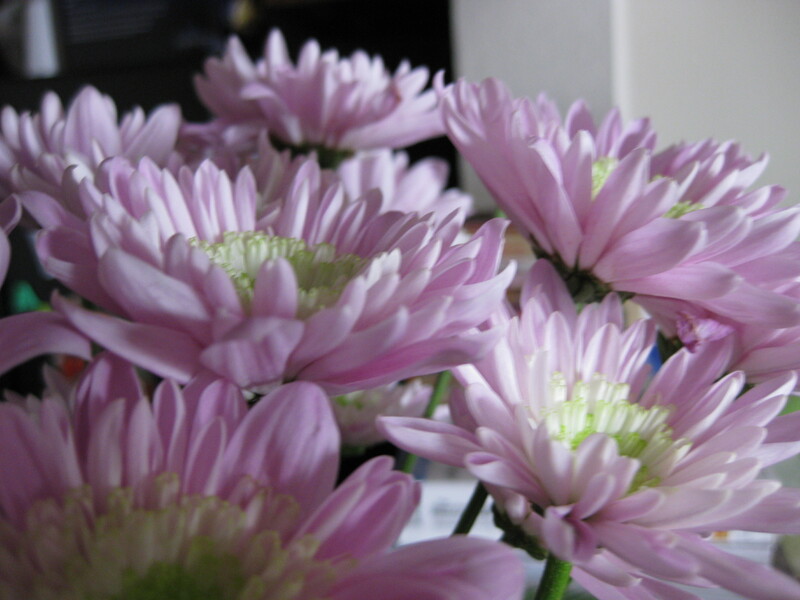 Other pretty things – these are my roomie’s flowers, but I’m allowed to take pictures of them, right? I have a yarn problem. It’s not that I can’t decide which yarn to use. 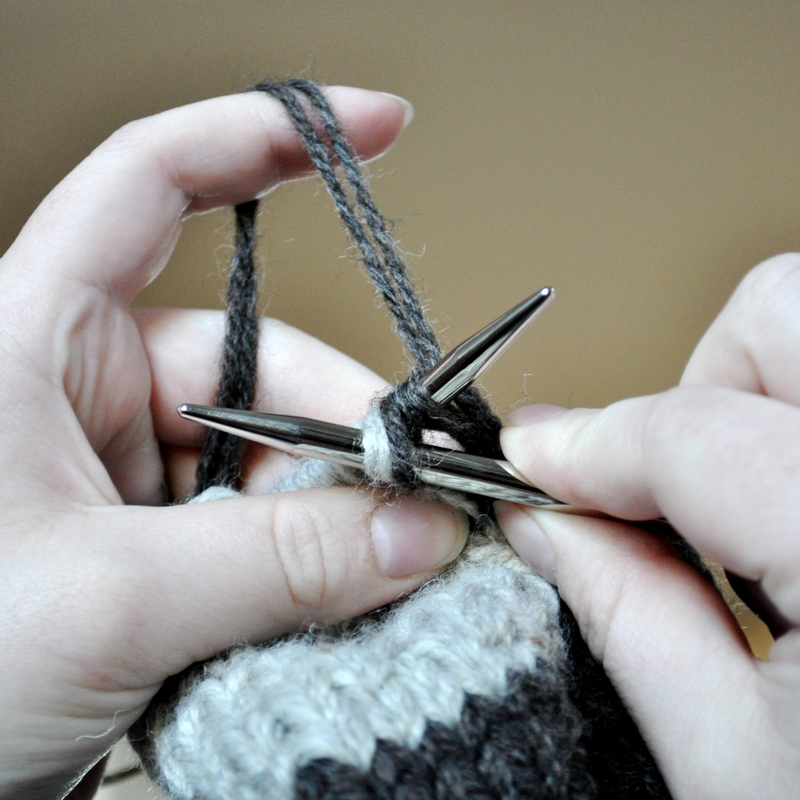 It’s not that it’s too itchy for me to knit with. It’s not even that I have too little to finish my project. It’s that I have too much right now and I can’t stop buying it. This is no thanks to L&B (my LYS) changing up their reward system. For a while now, every $5 I spent was marked on a card and once I got to $200 spent, I could cash in my card for 25% of my next purchase. A steal, right? Well, now I have been told that I have to use any cards I have by the end of December. I won’t say how many I happen to have, as I have been avoiding this fact because knowing would indicate how much I have spent there in the last year. I’m totally in denial about the amount. But back to why I have so much yarn. 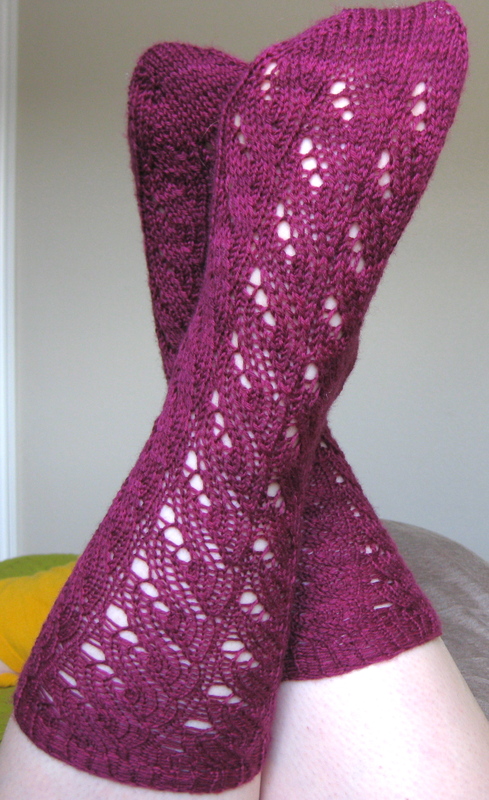 I’ve decided that I think it would be awesome to design my own patterns and offer them here and on Ravelry. This means that something I want to make pops into my head and I have to go buy the yarn. Oh, and then there’s Christmas. Yes, I have to make Christmas gifts because clearly I am super-knitter and can knit things for all 22 members of my family. No problem. Ok, so I’m not planning on making 22 gifts. But I am (for some reason) planning to make 11 gifts (and 5 of those gifts are double gifts – meaning I have to make two of them – knitters, you see the problem). The progress has been good so far, though. Four of the six single gifts complete. Four of the ten double gifts complete. I might make it. That’s not my problem. I put designing in quotes above due to the abundance of ideas in my head, the abundance of yarn in my possession, but the lack of concrete evidence of designing (i.e. written patterns). I have made some progress, however. I’ve got one hat pattern ready to go, and I’m almost finished writing out my dream sweater pattern. I’ll be a designer on Ravelry yet! 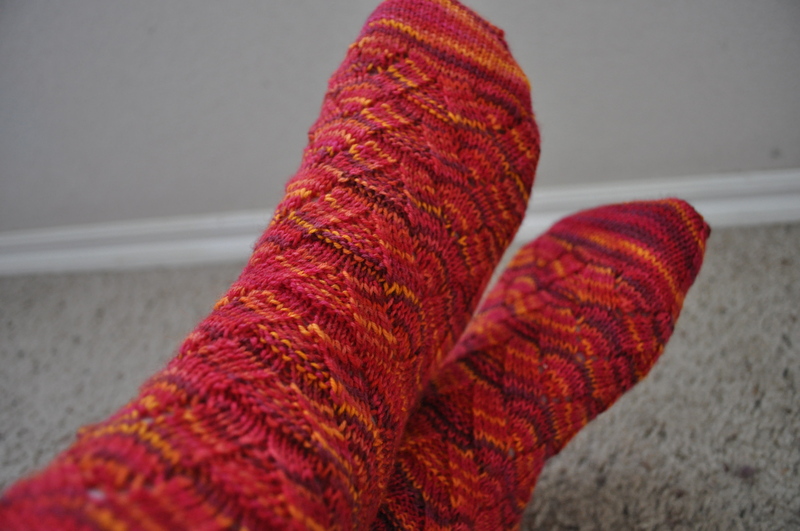 The Jackson Wrap: finished a few days after I returned from Mississippi. I actually love how this turned out, now I just have to find a place to wear it. I also made a Koolhaas hat and mitts for my friend Ryan. Now I just have to get them to him in Denver . . .
And socks . . .